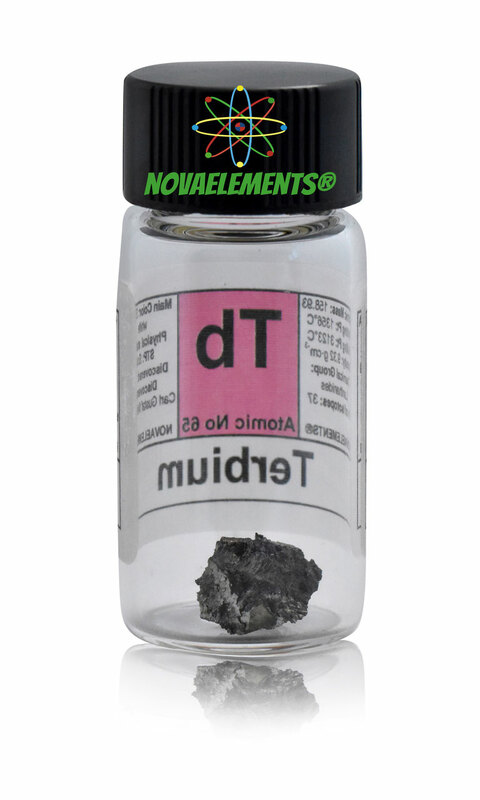 Terbium is a relatively resistant, sparsely toxic lanthanoid. 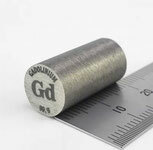 It has some special technical applications, especially in optoelectronics. 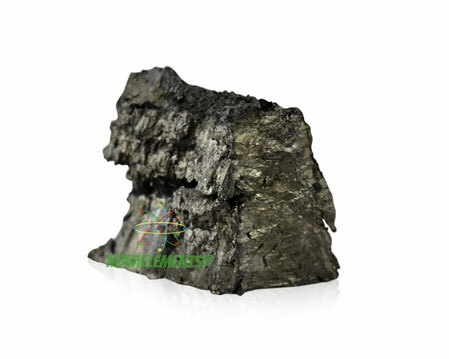 Terbium(III)-ions can fluoresce very good in green and yellow, so terbium is used in in CRT television sets, similar to europium. 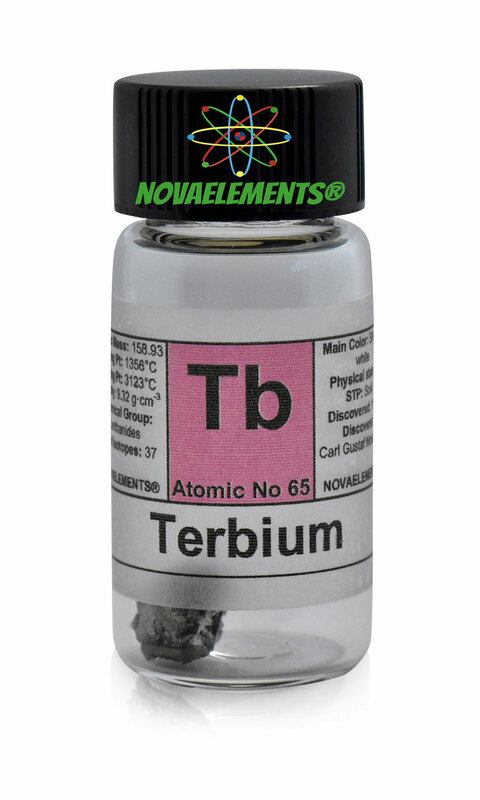 High purity Terbium metal element 65 sample of 1 gram shiny in glass vial with colored label. 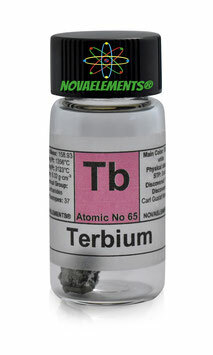 Pure Terbium element sample.